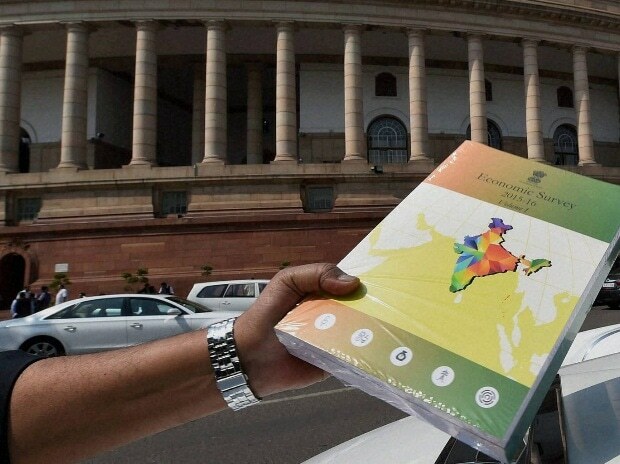 Budget 2018: Economic Survey 2017-18 out today- Were past editions accurate? After the 2009-10 economic survey, which projected economic growth on the dot for 2010-11, most surveys in succeeding years have been off track in predicting growth. Surprisingly, the only other exception was the survey of 2015-16 that pegged economic growth in a range of 7-7.75 per cent for 2016-17 and actual growth was indeed 7.1 per cent. The growth fell in the range predicted by the survey despite the year witnessing demonetisation. The major setback in terms of prediction could be the survey of 2010-11, which had forecast growth to be nine per cent for 2011-12 (plus or minus 0.25 per cent) but growth fell down to just 6.5 per cent. Nine per cent growth has remained wishful thinking in recent times even after the change in the GDP computation methodology, which many say overestimates the growth. Let us now see the focus of the four surveys presented under the Modi government, three of which were authored by Chief Economic Advisor (CEA) Arvind Subramanian’s team. The first one was authored by a team led by another Arvind — then economic affairs secretary Arvind Mayaram. The 2013-14 survey focused on reviving investment. It said this required a three-pronged approach that worked through improving India’s long-term growth prospects. This strategy was to work through ensuring low inflation by putting in place a framework for monetary policy, fiscal consolidation, and food market reforms. It called for tax reforms through goods and services tax (GST) and direct taxes code. While GST came over three years later, direct taxes code was shelved a year after. Only in 2017, the government appointed a committee under Central Board of Direct Taxes member Arbind Modi to redraft direct taxes. This was the first survey under Subramanian. Taking inspiration from the International Monetary Fund’s World Economic Outlook, this Survey departed structurally from its predecessors and was presented in two volumes. Volume one discussed the outlook and prospects as well as a number of analytical chapters addressing topical policy concerns. Volume two described recent developments in all the major sectors of the economy and contained all the statistical tables and data. In a sense, volume one was forward-looking but gained from the perspective provided by the recent past, which was the subject of volume two. The survey focused on the trinity of Jan Dhan, Aadhaar, and Mobile (JAM). The 2015-16 survey talked of creating a more competitive environment by addressing the exit (Chakravyuha) problem, which bedevils the Indian economy and endures as an impediment to investment, efficiency, job creation, and growth. The government later enacted the Insolvency and Bankruptcy Code of India and over 300 insolvent companies, including 12 cases referred by banks under the guidance of the Reserve Bank of India (RBI), are in various stages of restructuring. Rules on bankruptcy are yet to be notified to deal with individual and non-corporate cases. The survey also talked about major investments in people — their health and education — to reap the demographic dividend.